Dynamo Dresden managed to come up with four massive points in the last seven days. 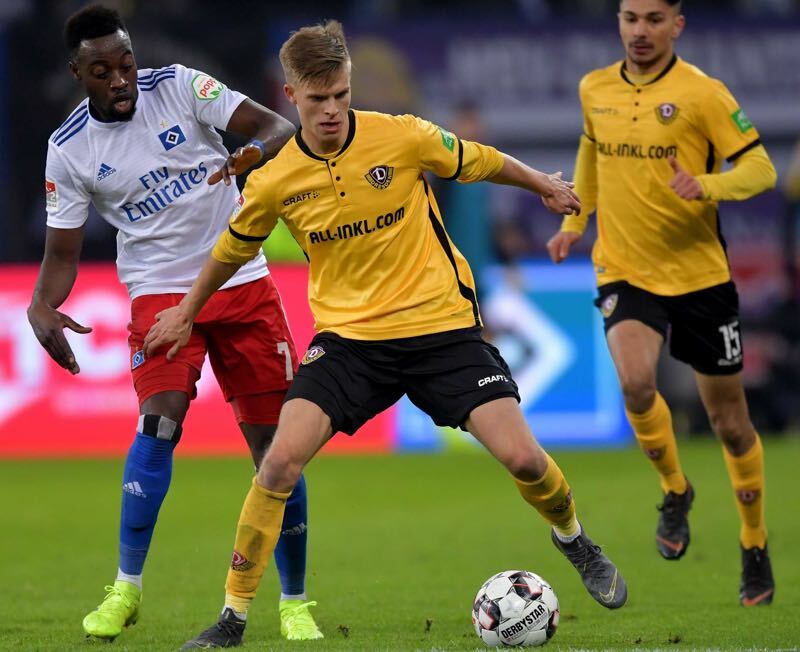 First, they defeated Erzgebirge Aue in the Sachsenderby 3-1 and then captured a point at home in the makeup game against SpVgg Greuther Fürth on Thursday. With 32 points from 27 games, Dresden head into the matchday eight points clear of the relegation/playoff spot, which is currently occupied by their rivals 1.FC Magdeburg. Speaking of Magdeburg, the game against their East German rivals on matchday 26 kicked off the derby weeks for Dynamo. The game against Union Berlin on matchday 28 will already be the third derby in the last four games. Furthermore, the duel against Union Berlin is also only a derby in the sense that both clubs are from the former German Democratic Republic. Yet there is plenty of history in this match. Before the emergence of Dynamo Berlin in the 1970s Dynamo Dresden was the biggest club in the former East of Germany. At the same time, Union Berlin was the perpetual outsider, a club that was for the people by the people and often was supported by the silent opposition of the GDR regime. Hence, Union received very little support from the state during the time of the GDR. Since the fall of the wall, however, the tables have been turned and Union have slowly but surely become a model club of the former East. Located in Köpenick, the club was resurrect from financial problems thanks to fan support, with the fans helping to renovate an entire stand of the club’s stadium Die Alte Försterei during the 2008/09 season. It was the foundation of the club’s emergence as Berlin’s number two and the club now has plans to expand the stadium to 37,000 seats. Part of the club’s ambitions is also promotion to the Bundesliga. Union are currently in third place, which would be enough to qualify for the promotion/relegation playoffs. But Berlin have lost against Heidenheim and Paderborn in the last two weeks. “After the two defeats we need air and points,” goalkeeper Rafal Gilkiewicz said this week. For months the club wanted to look from game to game when it came to this season’s goals. But now with just seven games to go Union wants to make the step to the Bundesliga. “Everyone knows now comes the pressure, which we have to withstand,” the goalkeeper added. 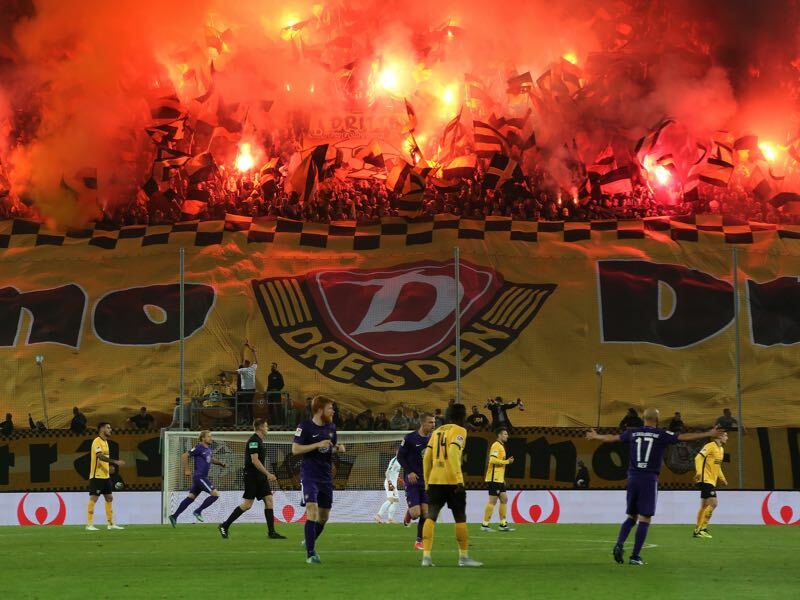 That pressure will be immense on Sunday in the derby against Dresden in what should be a fascinating game to watch between a Dresden side on the up and a club from Berlin looking to turn results around. On loan from Borussia Dortmund U-20 national team player Dzenis Burnić recently scored an immense goal against Portugal. It highlighted that the midfielder is an incredible talent. At the same time, Burnić has struggled to make it at Dortmund and was sent out on loan to get some playing time in Bundesliga 2. Here he is also playing for his future either in Dortmund, Dresden or elsewhere. Georgian winger Akaki Gogia is an immense player. Technically without limits, the native of Rustavi, Georgia, was expected to have an incredible career after making his way up through the youth ranks in Wolfsburg. 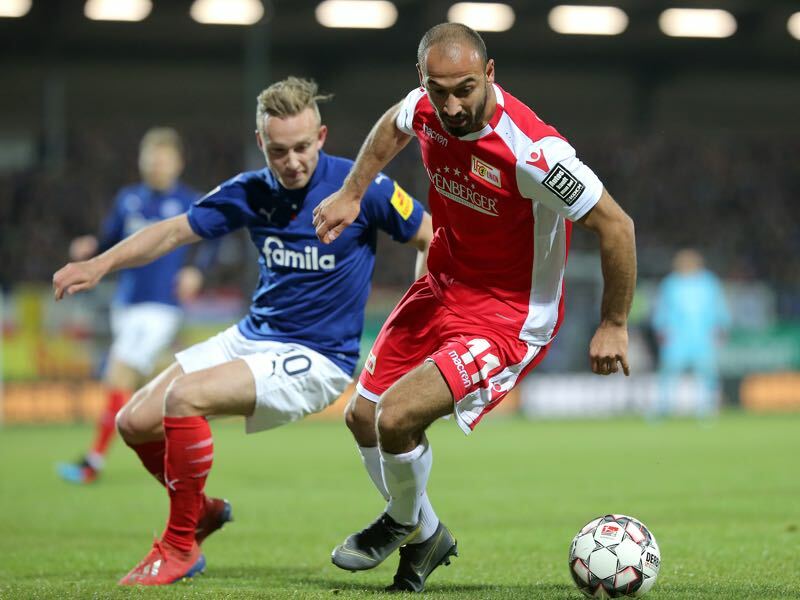 But the Bundesliga career never took off instead Gogia became a typical Bundesliga 2 player, who on Sunday will meet his former club Dynamo Dresden. 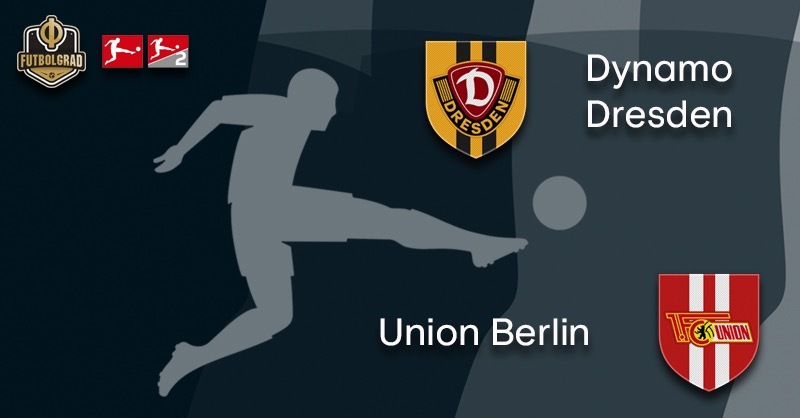 Dynamo Dresden and Union Berlin will meet for the 45th time overall. Overall, Dresden have a winning record against Union: W18 D14 L13. In Bundesliga 2 Union Berlin have been the more dominant team, however. Dresden’s record against Union in Bundesliga 2: W2 D5 L4. It will be the first time that the head coaches Christian Fiél and Urs Fischer will face each other.